At Our Lady of Grace Junior school we aim to help children become confident users of all aspects of the English language. Language is at the heart of each individual’s humanity and we respect the many languages that our pupils bring to school. We recognise that English is a core subject within the National Curriculum and a pre-requisite for educational and social progress. Language empowers children to communicate creatively and imaginatively, as well as allowing them interaction with the world at large. · enjoy books, accessing them, as they require. · ‘Excellence and Enjoyment’, as we seek to promote high literacy skills across the whole curriculum. Equal importance is given to each of these areas of learning. The aim of the reading resource, used in partnership at home and at school, is to bring success in reading for all students. quicker your child will make progress. 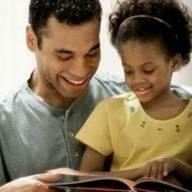 - Encourage your child to read a range of text types: fiction, non-fiction and poetry. Please keep this resource in your child’s book bag with their reading book so it can also be used at school. - Explain what has happened in the part I have read. - Write a character description using evidence from the book. - Discuss what I think about a character’s actions using evidence from the book. - Predict what I think will happen next using evidence from the story. See below link for more ideas for entries. Many students are actively completing the Reading Challenge! At the beginning of term those children who complete the challenge are presented with a certificate and badge. The children are encouraged to wear their badge with pride to school daily. There are four different badges to collect throughout their four years at OLOG. The Reading Challenge was officially launched in the Autumn term. Each child is expected to read ten books from the Reading Challenge box in their class over the year. They will be introduced to exciting authors and genres. If your child is unable to independently read a book they have chosen, we ask you to share this book with them. Please support your child in completing their challenge. To be able to spell and read all high frequency words. To read within Level 3. To be able to use full stops and capital letters consistently and independently. To form all letters correctly and of unifrom size to enable joined writing. To use a range of connectives and punucation independently in all pieces of writing. To use a range of openers in sentences. Word searches, crosswords, hangman, matching games and quizzes to develop children’s reading skills. 20 Key Stage 2 Literacy interactive teaching resources. Activities include; spelling, sentences, verbs, collective nouns, compound words, singular to plural, story sequencing, alphabetical order and grammar. Children focus on a range of different text types to enable to plan and write. Write a non-chronological report using headings, paragraphs, technical language and present tense. Will produce instructions orally and in writing using powerful verbs, adverbs and time connectives. Read a range of books with familiar settings. Explore the authors use of punctuation and language. Write a setting description using a variety of adjectives, sentence openers andpunctuation. Analyse a range of quest myths, identifying the text structure and language features. Write a myth with settings & character descriptions. Identify distinctive features such as repetition, rhyme, rhythm, alliteration in poems. Children focus on a range of different text types through the term. They learn to recognise the features of each type and go on to plan and write them. Children plan, draft and write a newspaper article that contains both factual and opinion-based content..
Children will also explore and write stories set in imaginary worlds. They focus on powerful verbs, connectives and writing in paragraphs. Children will explore and create similes. the discussion and report text types. Children focus on the writing of instructions and use of present tense and imperative verbs. Children focus on a range of different text types through the term. They learn to recognise the features of the text types and plan and write them independently. Year 3 use George's Marvellous Medicine and The Magic Finger by Roald Dahl to write a selection of text types eg instruction texts and play scripts. They will also cover a variety of grammar concepts including connectives, verbs and adverbs. Year 4 use Journey to the River Sea by Eva Ibbotson to cover a selection of text types including persuasive writing and narratives which focus on settings. They will also focus on grammar and punctuation based activities including different sentence types and the difference between plural and possessive. Year 5 use the Highway Man by Alfred Noyes to write narratives using suspense and mystery and non-fiction texts including instructions and persuasion. They will also focus on grammar and punctuation based activities including semi-colons and the use of commas to clarify meaning or avoid ambiguity. In the Spring term Year 6 will read the novel Toby Alone by Timothee de Fombelee. They will use this as a stimulus to produce different text types and to cover a variety of grammar and punctuation based activities including use of passive voice, expanded noun phrases and parenthesis.